I have several projects planned for the next few months. While I like having the freedom to work on new projects, I can't help but mentally pile up projects a couple of months in advance. I am currently working on a super secret project that I can't reveal until it has been gifted so here is a sneak peak. I just started working on the binding so it should be finished in a couple of days. I am planning on pretty much following along with the Totally Groovy QAL. I am making it for someone pretty far in advance so there's no hurry. I have my fabrics picked out and I am hoping to start cutting fabric this weekend. Quilt for my sister Kelly (and Kelly if you are reading this blog you better stop so your surprise isn't ruined!). Last year my sister Carly graduated from high school and I made her this hopscotch quilt. Kelly is graduating this year and I am planning on making one for her too. Quilt for my bed. 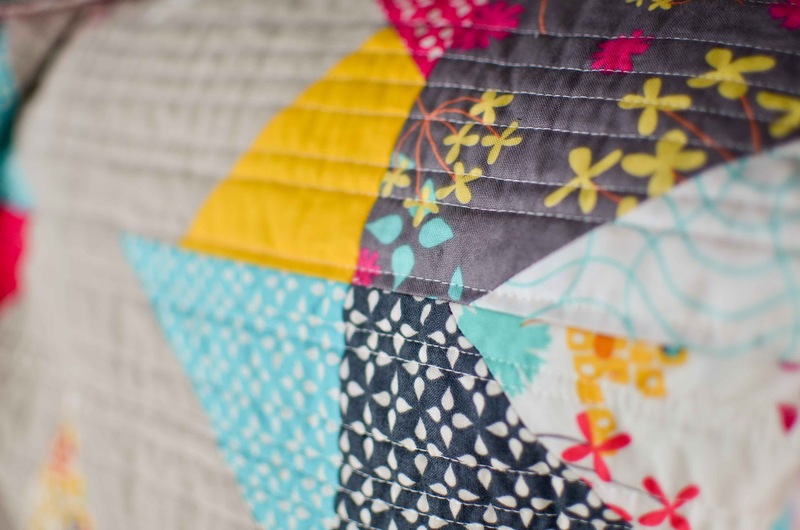 I am planning on using my stash of Lotta Jansdotter's Echo and my preordered Bella fabrics to make a queen size Single Girl quilt. 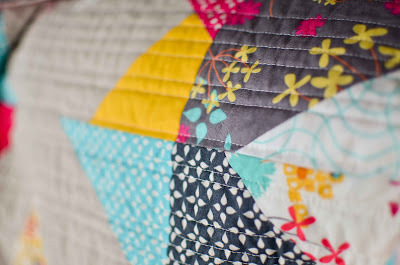 I missed out on the QAL, but the flickr group has really inspired to make this one for my bed. I am planning on doing this a little at a time. Your "in progress" piece looks great! I totally understand the mental pile up of projects! I have about a years' worth rattling around in my head. 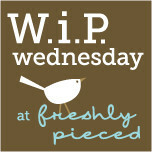 The sneak peek looks amazing, I shall check back to see the finish!! Visiting from WIP Wednesday. Your sneak peek is intriguing. I posted my own sneak peek today too. Love the look of the rest of you work. I like where your projects are headed and the fabrics you've chosen. A nice collection for WIP.